Comerica Bank is piloting voice-guidance automated teller machines for the visually impaired. With the voice-guidance ATMs, customers plug a standard set of headphones into the ATM's headphone jack to hear instructions in English or Spanish. Comerica worked with representatives from Leader Dogs for the Blind to make the new ATMs user friendly for the visually impaired. Instructions will be provided for any ATM transaction being conducted, such as a deposit, withdrawal, balance inquiry, or payment. 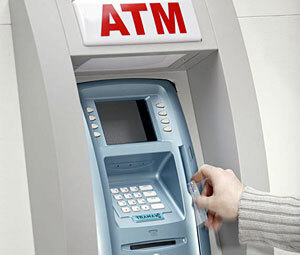 In addition to the new ATM machines, the bank will be re-engineering select existing ATMs to add voice guidance.